Today’s draft profile is a look into a safety who has the athletic skills and instincts to start at the NFL level. Savage also has the ability to play in the slot and in sub packages, which helps his draft stock given this versatility. He just might be the most polished safety in this draft class when it’s all said and done. Now, let’s dive into his attributes. In coverage, Savage displays excellent instincts by anticipating throws. This leads to well-timed attacks at the point of the ball reaching receivers. However, this anticipation can hurt him at times. Savage does have a tendency to be too eager in playing what is in front of him and can get beat deep. That being said, in zone coverage, he knows his job. The ability to stay in his zone and play that read-only is a big plus. In man coverage, his athleticism and versatility match up well with bigger bodies. Savage has the ability to turn smoothly and can make adjustments on passes. With that smoothness when closing on routes, or turning or running with them, Savage makes breaks on the football with above-average technique. He also presents good timing when playing the pass as well. His hands are natural when going for the football. Savage is also very aware of taking great angles on almost every play. His ball production on the backend has produced career highs. He also has generated seven interceptions over his last two seasons. Two of those, Savage returned for pick-sixes. Savage is thick, but also small enough to run with almost any receiver. He ran his 40-yard dash in the 4.3s at the NFL Combine. His tape backs up that speed. Although he plays fast, Savage plays under control. Again his anticipation can be a little too revved up, but when flying downhill this is well controlled. What really helps Savage in pass coverage is his long speed. He can gain ground quickly than most other safeties in this draft class. Savage is a safety that can lay the boom on ball carriers. He mostly does not miss tackles. The only time that occurs is when he tries to run through someone with his shoulder. Just like well-planned angles in coverage, Savage is astute when flying up and taking the appropriate angles. He also does a great job of finishing and bringing down opponents with his power. I am a big fan of Armani Watts and think he could have a breakout season along Tyrann Mathieu‘s side. But, the safety depth chart is still not good enough for the long term. Savage provides the ability to be a depth piece in sub packages if need be. That would be a plus rather than a minus for the Chiefs’ backend. I also like his experience, as Savage started all four years for the Maryland Terps. The production is another thing to enjoy about this particular prospect. Thank you for reading. 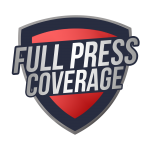 Be sure to check out more 2019 NFL draft prospect profiles on Full Press Coverage.